The INTESYS approach makes services more responsive to real-world situations. ‘The INTESYS project enables us to highlight the processes that lead to joint, early and effective strategies in addressing vulnerable situations…’ says Norma Gigliotti, head of the minors department at the Consortium of Municipal Services. Creating effective, joint strategies is exactly what INTESYS is about. What is INTESYS up to? Throughout the INTESYS project, pilots have established new approaches to assist services across sectors to work together for the benefit of the most vulnerable children and their families. The INTESYS consortium is developing a toolkit comprised of such approaches which will help practitioners, managers and policymakers accomplish more while keeping the child at the center of their services. 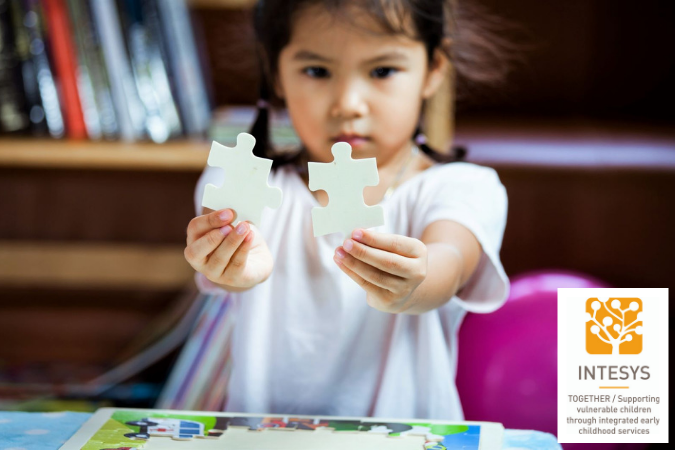 ‘The need for services to cooperate and to coordinate and to use early and effective strategies to address vulnerable children is more of a theoretical fact, and unfortunately not so well-established in practice. The pilot we are conducting with the INTESYS project enables us to highlight the processes that lead to joint, early and effective strategies in addressing vulnerable situations, through joint discussion and reflection among various professionals and actors on specific concrete situations. Conversely, this pilot also enables all participants to focus (almost "involuntarily") on those dysfunctional aspects that hinder the achievement of expected objectives and, thus help them search for shared solutions. INTESYS allows to find points of convergence between different professional languages, to consolidate or to initiate relationships of trust. It allows to share expectations and to imagine the possibility of getting concrete "good practices" to share, formalize and extend. And all this takes place in a guided and methodologically solid and "guaranteed" framework. In this context, the joint reflection on concrete situations, with the possibility of drawing on more general guidelines, also leads to a different way of examining early childhood services, which is more effective because it is more responsive to reality." An integrated approach considers the situation of each specific child in a holistic way. While each service a child benefits from addresses a specific need, the professionals working in one service are aware of the other services a child is receiving. This approach centers around each individual child, rather than the services they receive. Want to know more about Integrated Systems? Find out more in our series of INTESYS interviews. Download the INTESYS Toolkit here!